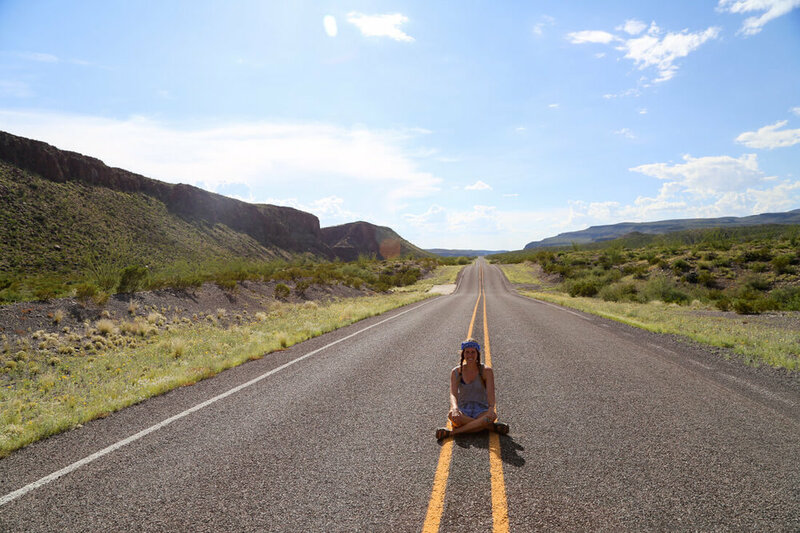 I had anticipated the 2-hour drive from Big Bend National Park to Marfa to be rather boring. I expected a monotonous desert view as our only entertainment. But a tourist information center told us that, on the contrary, if we took "the River Road" it would be one of the most stunning drives we'd ever seen. This stretch of desert highway connects Presidio and Terlingua, making it ideal for any road trip along the border. We were driving from Big Bend National Park to Marfa. The drive took us through Lajitas and Big Bend Ranch State Park, all the while hugging the Rio Grande along the Mexican border. We started our drive in Terlingua and in just 15 minutes we were in Lajitas and stopped for a quick look around. First, we paid our respects the mayor: a goat named Clay Henry III. The original Clay Henry, the grandfather to the current mayor, was famous for guzzling beer. The current mayor is said to prefer Gatorade. Next, we checked out the resort, which looks like a Hollywood set of an old western film. If you prefer the real deal, Terlingua (a legit ghost town) is only 15 minutes away. However, the restaurant patio does have a spectacular view and it did seem to be much more luxurious compared to the accommodation options in Terlingua or Big Bend. So the Lajitas Golf Resort is a good option for those preferring a bit more comfort in the desert. Check rates here. The following sixty miles or so from Lajitas to Presidio is the stretch of road that is referred to as El Camino del Rio, or "the River Road." The river road (Farm to Market road 170) hugs the Rio Grande and passes through the Big Bend Ranch State Park. The park is free so just drive on in and enjoy the views. The rolling hills provide great viewpoints and there are picnic areas along the road to stop and enjoy a nice lunch. There are hiking paths but we had started our drive too late in the day to take advantage of them (that and the insufferable summer heat). We only saw one other car the entire time we were on the road and there are no shops. Make sure your gas tank is full and you have sufficient water and snacks with you. I LOVED this drive. The topography was gorgeous and constantly changing. The areas around the river were lush and green, alive with the river water. Just on the other side of the road we could see rolling, desert hills. This is a drive that should be on every road trip junky's bucket list. If you're looking for more great road trips check out these amazing National Park road trip ideas. Abe Lincoln in West Texas, who knew? We arrived in Presidio and turned north towards Marfa. There's also a border crossing here for those going south to Mexico, or you can continue westwards to New Mexico. On the road to Marfa, 18 miles north of Presidio, is the ghost town, Shafter, Texas. It's worth a stop but we were nearly out of daylight and had to continue on. Drives like this make road trips worth it. 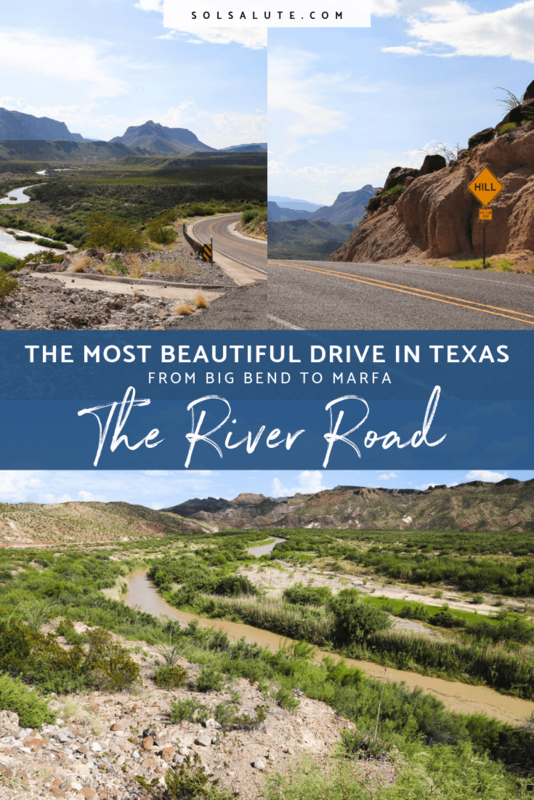 If you find yourself in the vast Chihuahuan desert of West Texas, then I hope you take FM 170 and enjoy the Rio Grande views.